Good day — for it is daytime somewhere, though not where I am. I’m writing here because MYWOC is “down” for unknown reasons. I have reached out to QWK.NET, my host; and they are working on the problem. I’ve had an exhausting day here in Isleton. I’m reminded of my favorite Isaac Beshevits Singer story. And so it is with my broken website, and the washer which keeps throwing its “not properly draining” code, and the flaws in my tiny house build. No little children will die from these issues. Though they might currently feel like the banes of my existence, they only temporarily annoy me. I will overcome even the most gnarly of the difficulties now confronting me. It’s late on the 29th day of the forty eighth month of My Year Without Complaining. When you read this, it might well be early on the 30th day. I will be sleeping, in my nook, in Angel’s Haven, on Brannan Island, in the California Delta. I will be dreaming of soft morning light. 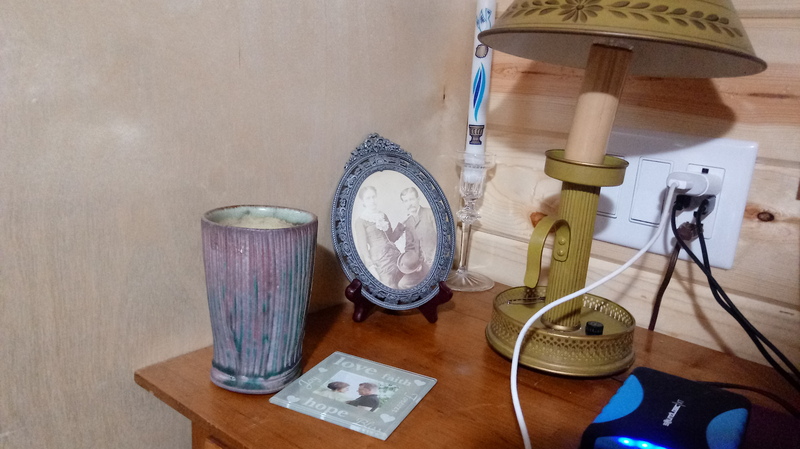 A few trinkets from my former home: The Brookside art fair drinking vessel which I got with Carolyn Karr and her husband; a photograph of my great-grandmother Corinne Hahn Hayes with her husband; my son’s Baptismal candle; Caitlin & Bryan’s wedding shower coaster. 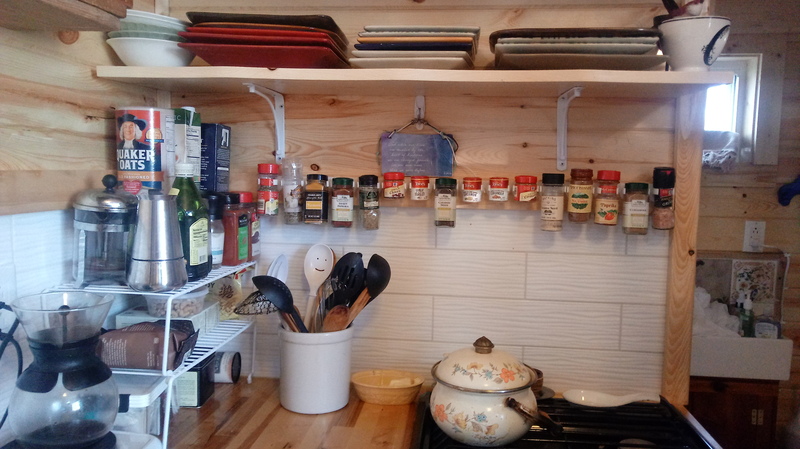 My son Patrick gave me a “tiny house spice rack set”, which my friend Joe installed. It’s beginning to feel like home here at Angel’s Haven. I gave myself permission not to write my Saturday Musings yesterday. I found myself at a distant locale without my own computer. Someone offered me a cup of coffee. Thoughts that I had been entertaining of borrowing my host’s PC to write flew out of my mind, wafted to the wind on the fragrance of freshly brewed java. I have written these Musings since June of 2008. I found myself temporarily alone for the first time since 08 July 1991 when my son entered the world, laughing. For that 17 years, I had been first a single mother, than a wife. That spouse decamped and my son embarked on his first major foray from home. In the silence of the summer air, I turned to writing as a way of beginning the process of evolving which had temporarily halted when self met self’s eyes over a positive home test in the fall of 1990. Now my world has turned a few more clicks to the west. In the next two weeks, I’ll cram the last boxes of my belongings into a vehicle and hit the road. 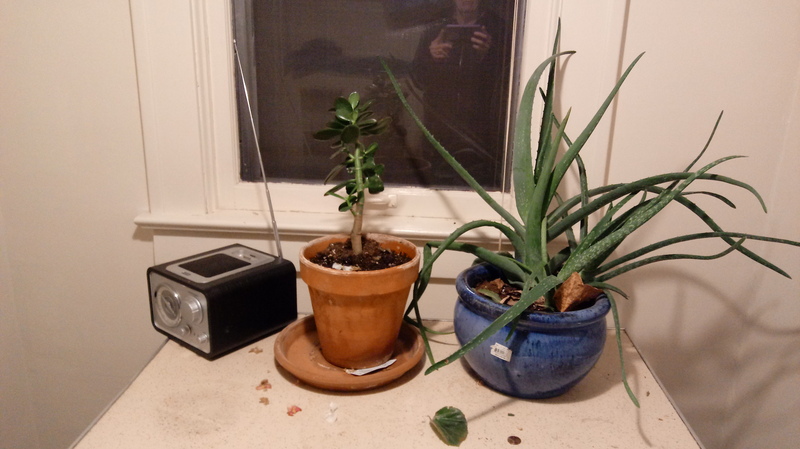 When I surface, I’ll be living in 313 square feet in the Delta east of Oakland, California. I’ll winter there. I’ll look for work and commute back and forth, closing out cases and saying goodbye to my Midwestern haunts. The Usual Suspects will gather for Christmas in January. I’ll make one more First Friday at Ruthie Becker’s Gallery 504 if I plan my visits well. 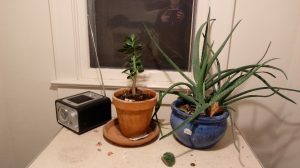 I’ll let go, but keep one strong tap root in Missouri soil. With this latest metamorphosis, the Musings will doubtless change as well. So, I’m taking a hiatus from them. I’ll still blog at myyearwithoutcomplaining.com. You can subscribe to that blog to keep pace with my life, and the Musings will resurface in the fullness of time. In fact, over the last eight years, I’ve amassed a plethora of work due to my weekly entry here. I’ve decided to issue a collection of the entries in book form. They will be joined in a volume with prints of visual art by Mary Pettet. We hope to release the work by Christmas of 2018. I’ll post news of the project here, so you should keep your subscription. Thank you for eight years of loyal reading. I will resurface here from time-to-time, and over on MYWOC. If you want occasional social/political commentary from me, you can find it now and then at myeyesarewatchingyou.com. I don’t post there often because, to be frank, I am so horrified by the erosion of progress in America, that I barely have the stomach for it. You can read some entries also at myeyesarewatchingyou2.blogspot.com, to which I had to retreat when My Eyes Are Watching You got splogged. There’s a link to that page on the main political blog. I wish you all a lovely holiday season, and joy in the coming year. Think of me now and then. You can write to me at ccorleyjd@gmail.com. All e-mail answered unless it contains profanity or pro-Trump rhetoric. By now you should know that I think he’s the saddest excuse for a president that this country has ever seen, so don’t waste your breath trying to argue his merits. Any other dialogue welcome, including videos of your cat doing tricks. I thank you all for your faithful reading. I will keep in touch. Until we meet again, please know that you remain in my heart. Somewhere in NORCAL, a Missouri Mugwump will be thinking of you, with all the Mugwumpitude she can muster. Surely, that counts for something. Be well. I love you all. Alert CHIPs. I’m taking a bit of home across the border.